HomeWhy Choose Long Beach Inn? Why Choose Long Beach Inn? It becomes difficult for us to choose one & the best accommodation from the variant, while we are travelling to a popular tourist destination. Long Beach is the ultimate tourist destination in Southern California, with around 3 lakh visitors across the globe. The city welcomes tourist with warm accommodations across the city. While choosing one of them depends on the visitors. 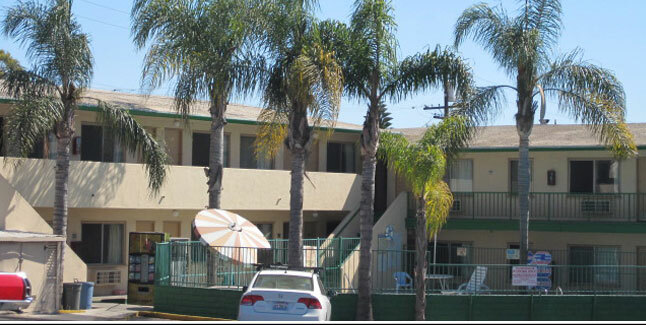 Long Beach Inn is situated in between Los Angeles and Orange County. This makes public transports easily attainable from the hotel. Long Beach Airport is just 3 km from the hotel, thus it is convenient for visitors who often step down in Long Beach. Stay at Long Beach Inn will be preferable even when it comes to nearby places. Long Beach probably stands close to popular tourist attractions of Los Angeles, be it Hollywood/Disneyland. The hotel is also close to the regional areas such as Marine Stadium, Naval Weapons Station Seal Beach and Los Alamitos Joint Forces Training base. Long Beach Inn offers its guest flexibility in type of room. They offer rooms keeping in mind visitor’s requirements. It offers rooms with single bed, rooms with double bed and rooms with kitchen. The rental kitchen includes basic kitchen appliances like refrigerator, oven and stove. Long Beach Inn’s serine ambiance with well-maintained surroundings and spacious area, attracts visitors to accommodate themselves at this hotel. Excellent hospitality and convenient rooms that too in budget, also advances preference for the hotel. Long Beach Inn’s location is easily approachable. The Pacific Coast Highway and temple is the nearest landmark for the hotel. It is easy to get directions for the same from the hotel’s official website. It is valuable to go for online booking while planning to stay at Long Beach Inn. The hotel gives best rates and deals on online reservations.